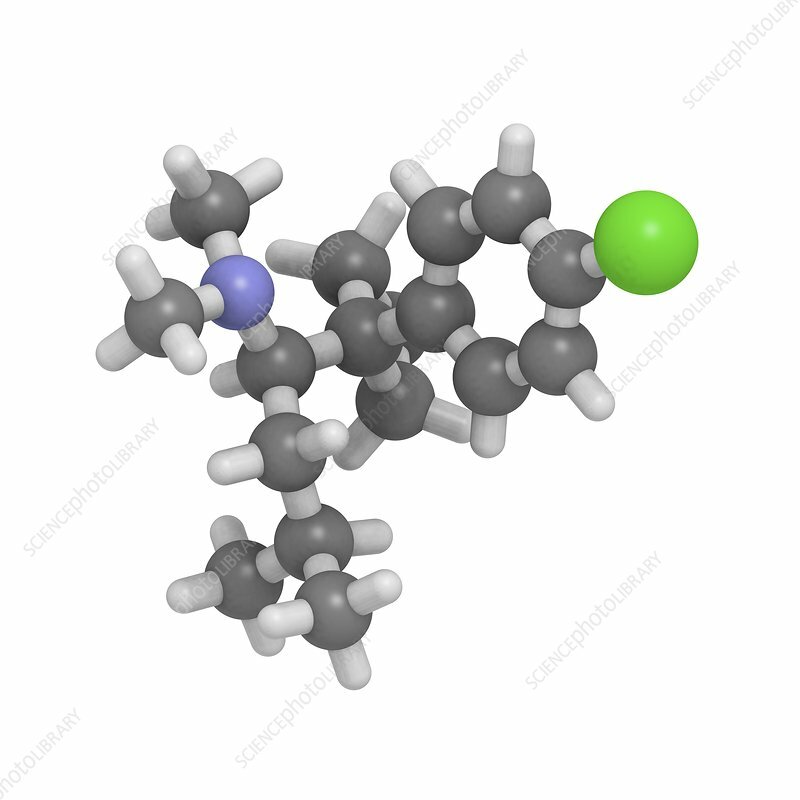 Sibutramine anti-obesity drug, molecular model. This drug was withdrawn from the market in 2010 due to safety concerns. Atoms are represented as spheres and are colour-coded: hydrogen (white), carbon (grey), nitrogen (blue), chlorine (green).